Now that it's November, it's time to start thinking about Christmas, as it's only next month! What better way to get in the holiday mood than doing a Christmas tag :) I don't know about you, but I've already started buying Christmas presents. Here in Cardiff the city centre gets so busy in December (to be fair, it gets busy in November too) so I try to get presents early, although this year I'm trying to make lots of the presents :) So anyway, enough about that, on with the TAG! Psst, if you're reading this, you're tagged too! If you're not a blogger leave your answers in the comments below, and if you are a blogger, tweet me the link and I'll RT it for you - and if you link to me in the TAG, I'll add your blog link to the bottom of this post too :) - oh and feel free to use my image above. There (for me) is only one option, Starbucks Eggnog latte. It's seriously the shizz! Don't get me wrong, it's always lovely to open presents, but for me, my favourite part is giving them, especially seeing the look on peoples faces when they open their presents, you can't put a price on that. In my family it's always been tradition to dress up smart on Christmas day, so it's a day when I've always made an effort, even if it's just me and Chris all day. This is a toughie, it's either Elf (who doesn't love this!) which I'll happily watch all year round (I watched it last month), or It's a wonderful life. I'm gonna do this, but i'll wait until a bit later in November :) if that's alright? I just did it! But I switched it up a bit because I wanted it to look like a christmas tree! haha Let me know if you check it out! Definitely saving a draft of this, but will probably post it after Thanksgiving or in December! I love Christmas everything, so this tag looks fun! Did this tag on my blog, thanks for sharing! Yay! I love seeing tags like this. I'm definitely going to do this on my blog. I'm going to have to try a Starbucks egg nog latte, sounds lush. I'm a sucker for a Christmas latte haha. Great tag, I've just posted my answers this morning. Christmas countdown has officially started for me! Hi Georgina! I did your tag after seeing it on Fee's blog Makeup Savvy :) Love the questions! Participated, great tag! Thanks for the post, got me in the Christmas spirit even more! I just found your blog today! I love it, time to follow. I did your tag on mine & of course linked you. Great Christmas tag Georgina, I've just done mine so here is my link Christmas Tag 2013. I've also linked back to your blog.. Merry Christmas from Italy, babe! 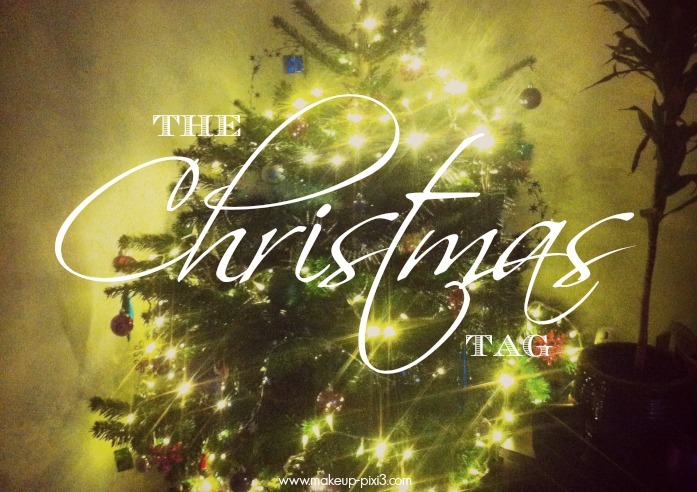 I've done the Christmas tag! (slightly late, but I still did it!) and I mentioned you!